Matt's guest is Caren Cioffi, Excecutive Vice President and General Maanger, Enterprise & Digital Marketing Business for Brightcove. 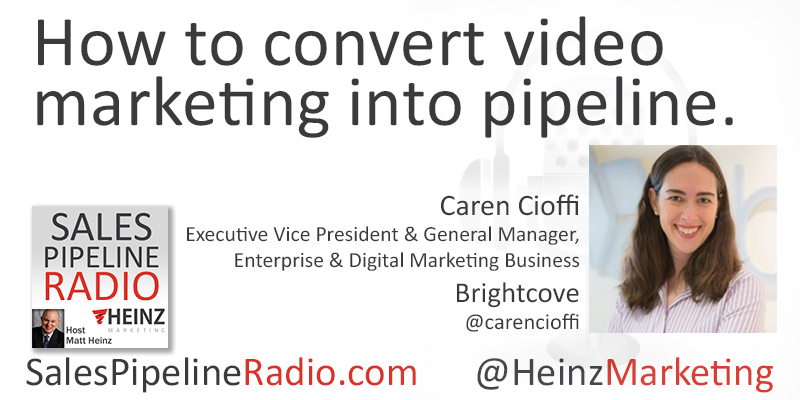 In this episode Matt and Caren will not only talk about general best practices for video marketing, but where to apply it, how it works, why it's easy and how to convert it into pipeline. Caren is passionate about unleashing the power of video to drive reach, engagement and conversion for brands everywhere. Tune in to get her expert tips and takes on this topic.